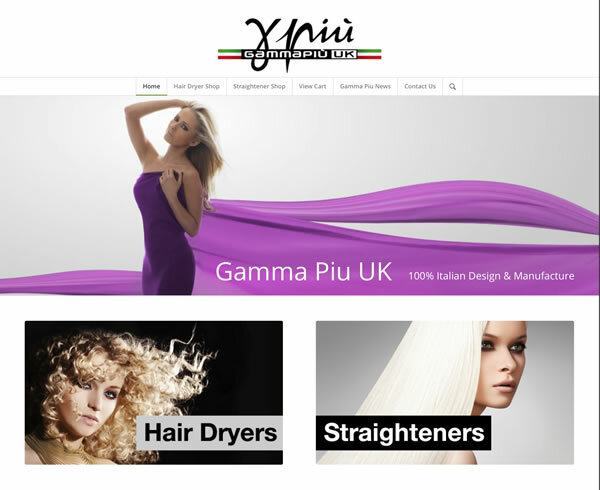 World renowned Gamma Piu Italia have produced quality electrical products since 1978. They currently export to over 103 countries, keeping their 50+ workforce extremely active. From our entry level Italic 1600 to top of the range Active Oxygen – the only European dryer to export to Japan – the quality build is second to none. The client required a site in order to retail these products to the UK market.